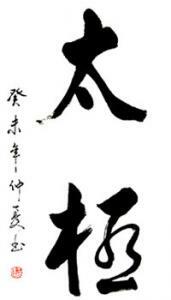 Our aims is to pass on the essence of Internal martial arts as they were designed in China. Tuition takes the style of Tai Ji Quan beyond merely the health level. Monday 7pm to 8pm and Thursday 8pm to 9.30pm. The International Director for the tuition of Internal martial arts taught here is SiFu Dale’s teacher- Master Ji Jian Cheng based in HangZhou, Zhejiang Province China. Master Ji Jian Cheng is recognised in the top 100 Masters of China, and 9th level Master, a high accolade for a teacher of Master Ji’s age. SiFu Dale has been a student of Master Ji since 1991 when he first came to England, and is one of very few still practicing and learning from Master Ji, since his first visit to England. There are many methods of Tai Ji Quan practiced globally today, some of the more popular styles are Chen, Yang, Wu, Sun, Hao, some lessers known versions are ZhaoBao, ChenPanLing, HuanYan Tai Ji Quan etc. 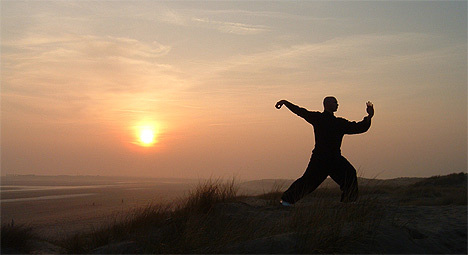 Tai Ji Quan is first and foremost a martial art system, that has great health benefits gained as part of its practice. However, many people view Tai Ji Quan simply as moving meditation or soft exercises. If we only practice one small element of Tai Ji how can we reap the full benefits of complete or whole practice. We are currently setting up an international exchange program with the Jiliang University, Hangzhou, China where Master Ji is one of the Directors to allow overseas students to study there. Our Class structure follows a group warm up session, of Qi Gung. Methods for the practice of relaxation, loosening the muscles and increasing joint range of motion and calming/focussing the mind. From there students are taught Yang Style 24 step Tai Ji Quan, progressing onto Chen Family Pao Chui or Chen family Cannon boxing. Applications- Single Tui Shou and Double Tui Shou Pushing hands exercises are also taught. Ba Duan Jin, good for martial arts, builds strong muscle connection, tendon and ligament strength. We actively promote the martial arts aspect of all our Internal Arts, they are first and foremost martial arts systems, when practiced correctly bring great health benefit, improved posture, increased muscle tone and strength.